Mr. Audas has been in the asbestos, environmental, and industrial hygiene field for over 33 years. His technical and managerial experience exists in many diverse areas of environmental consulting, including: surveying, estimating, management, and operational administration and oversight. Additionally, Mr. Audas has provided industrial hygiene services related to generation facilities (i.e., boiler/unit outages, employee exposure) in the areas of asbestos, metals (As, Cd, Pb, Cr(VI)), dusts (total and respirable), and SiO2. Mr. Audas’ credentials include over 20 years of experience working within the fossil, hydro, and nuclear sectors of some of the nation’s largest power generation entities. Ms. McWilson has been a Certified Industrial Hygienist for the last 25 years. She is a subject matter expert in Ergonomics, Exposure assessments and Sampling, and Chemical Health Hazards. In addition, she specializes in chemical health risk assessments, health and safety management systems, noise exposure management, design of local exhaust ventilation systems, industrial hygiene surveys, and safety & health auditing. She has developed, implemented and managed industrial hygiene programs for an electric power generation facility. While working at a power generation facility, she worked as a site CIH consultant. During that time, Audas Environmental worked alongside her, as she demonstrated vast knowledge in current power generation and industrial hygiene. Audas has created a business partnership to provide her expertise. Completed statistical analysis of exposure data as it became available, then developed programs to minimize identified risks and developed an annual sampling plan. She possess excellent organizational and computer skills and ability to manage multiple projects simultaneously while working with limited direct oversight. She will be providing report oversite and assessing all employees while working on various jobsites. Ms. Dalton's career in the health and safety field spans over a decade. She has been with Audas Environmental for 8 years. Ms. Dalton has spent over six years in program development and implementation for OSHA compliance in the industrial field. She has performed various types of industrial hygiene sampling for worker evaluation exposures. She has also led multiple outages for various power generating facilities. Another task she handled was all of the storm water permitting, sample collection, and reporting. Now she handles the day to day safety and training needs of our company as well as our in house quality control program. Her accomplishments include heading up successful programs that have received awards from OSHA (SHARP certificate) and KEMI (Reduction of Workplace Accidents 2003-2004). 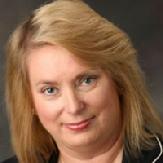 Ms. Dalton provides an expansive knowledge of health and safety, and industrial hygiene. Mr. Anderson possesses over 34 years of experience in the field of asbestos and industrial hygiene for commercial, industrial, manufacturing, and power generation sectors. He received his microscopical training from the renowned McCrone Research Institute in 1986 and since then has been a leading bulk microscopist. Mr. Anderson has been involved in all facets of asbestos abatement, contracting, air sampling, industrial hygiene, project management, as well as laboratory management and quality control. Additionally for the past 13 years, Mr. Anderson has focused on servicing fossil and hydro facilities and is well versed in other aspects of industrial hygiene services related to these generation facilities (i.e., boiler/unit outages, employee exposure) with emphasis in the areas of Asbestos, Metals (As, Cd, Pb, Cr(VI)), Dusts (total and respirable), and SiO2. 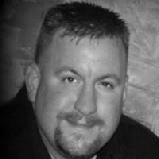 Mr. Hill is currently working toward his Certified Industrial Hygienist, with 5 years of experience in the health and safety field. Mr. Hill is located in South Carolina, where he has become diversified in Industrial Hygiene. 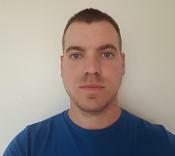 He has been completing various industrial hygiene surveys for noise, metals, VOCs, lead and asbestos. During Lee's experience working as an industrial hygienist he has managed multiple job oversites and coordinated power plant outages in the Midwest. He graduated with a degree in Environmental Science from Lander University in Greenwood, SC. While at Lander, he completed an internship with the local state regulatory becoming familiar with multiple standards enforced. Lee has the knowledge and ability to provide strategies and recommendations for cost effective solutions that are appealing to his clients. Above that, he has a true passion for the industrial hygiene profession and protecting worker health. 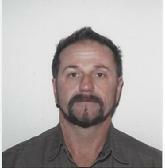 Mr. Davis has been with Audas Environmental 8 years. He has worked many power plant outages and completed numerous employee exposure assessments, including asbestos and lead sampling, total and respirable particulates, welding fumes, and popular IH metals such as Arsenic (As), Hexavalent Chromium (CrVI), and Lead (Pb). He is strategically located in Indianapolis, Indiana. He has completed numerous asbestos inspections, asbestos abatements and analyzed thousands of PCM samples for daily and clearance samples. Not to mention, he has been third party oversite for asbestos contractors, walking down containments for structural integrity, monitoring negative pressure is maintained and assessing contractors paperwork. 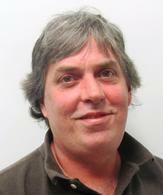 Mr. Risner has been with Audas Environmental for 10 years. 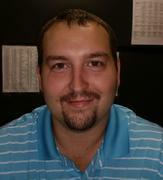 He has been located in Charlotte, North Carolina for the last 2 years working as a health and safety coordinator. His experience includes sampling for analytes such as volatile organic compounds, aldehydes, total fungal counts, hydrocarbons, total and respirable particulates, welding fumes, and not to mention extensive experience sampling for popular IH metals such as Arsenic (As), Hexavalent Chromium (CrVI), and Lead (Pb). Mr. Risner has also authored technical reports, and has collected and analyzed hundreds of air and bulk asbestos samples as well. He is well versed in identifying suspect asbestos containing materials such as gaskets, insulation, and building materials, and has the ability to analyze them via PCM / PLM onsite if needed. Since starting with Audas Environmental, Mr. Risner has covered several power generation boiler outages, and this experience has afforded him an intimate knowledge of power generation facilities, their equipment, their processes, and their procedures. Thus giving him a firsthand knowledge of the demands and dynamics of these time pressed outage events, and the ability to anticipate your needs. 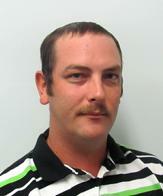 Mr. Rylee joined Audas Environmental 3 years ago. Previously, he has been working in the construction and carpentry industry. He currently offers assistance to our Sr. Industrial Hygienist while he is under direct supervision and guidance as he learns firsthand fieldwork. He has assisted on various jobs in the power generation industry, such as sampling for metals, asbestos inspections, air monitoring and third party oversite. He has successfully completed his microscope training. He is currently a PAT proficient analyst for Phase Contrast Microscopy. 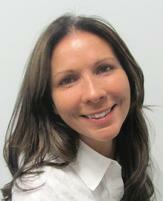 Mrs. Myers joined Audas Environmental 4 years ago after working in the Financial Banking Industry for 15 years. Her experience with handling vast amounts of reports, spreadsheets containing numbers and attention to detail has been a great asset for report generation and review for our organization. She has become very efficient in handling samples, Chain of Custody’s in the laboratory, as well as shipping samples out of house. She has also gained the ability to help in the asbestos lab in sample prep. Audrey is a vital part of our behind the scenes providing information for invoices, payroll, and report delivery. She also understands the procedures for our clients with regard to Work Orders and PO’s to properly track and submit reports and invoices. Mrs. Myers offers our client’s outstanding customer service with quick response, and understands the sensitivity of reports and documents. She is great in assisting our clients with how to handle their sample submissions. Not to mention her vast knowledge of our archived information helps expedite answering historical questions as well.